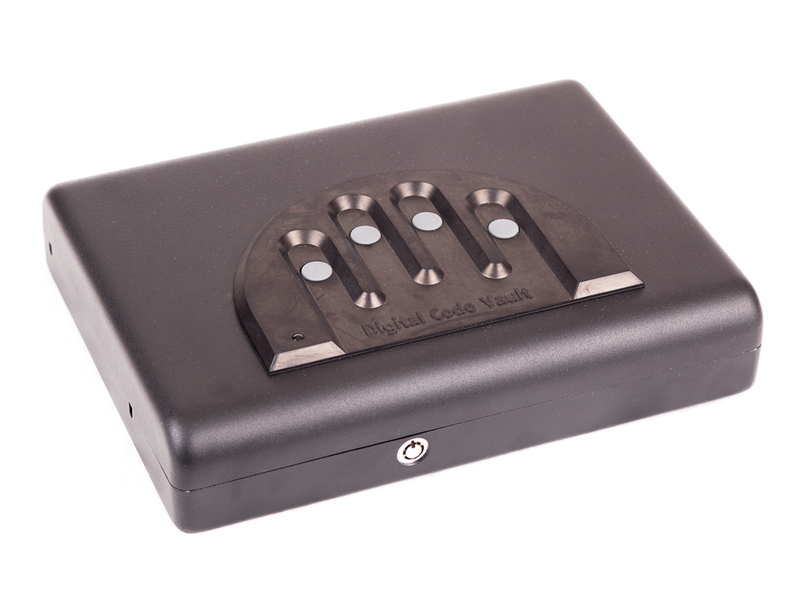 A small and effective digital push button gun safe. Ideal for home, travel, and portable storage. Takes 4 AA batteries (not included) and has a key override. Constructed of 16-gauge cold rolled steel. 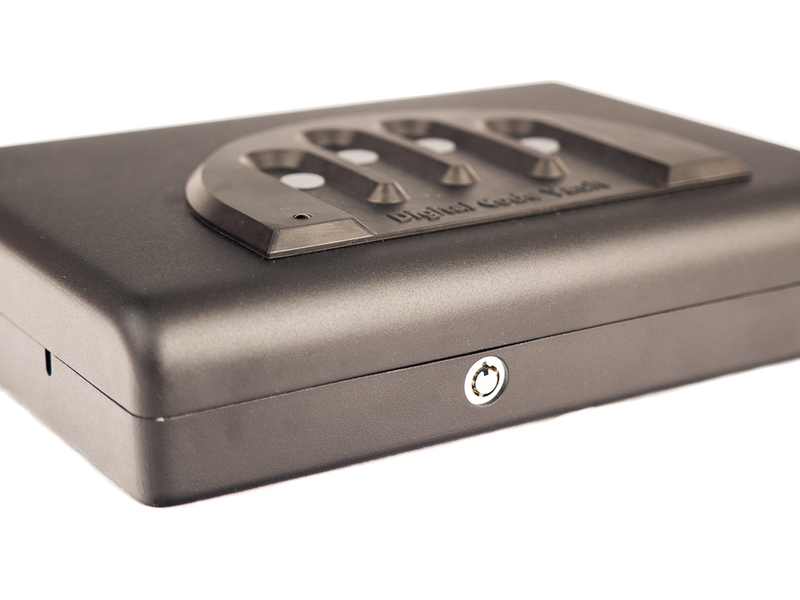 The safe can be secured to a surface with mounting screws or with the included security cable. *Please note shipping for additional units (more than 1) is only $4 per additional unit. Why You Can't Just Use Your Glove box? You should absolutely NEVER store your firearm in the glove compartment of your car for three critical reasons. 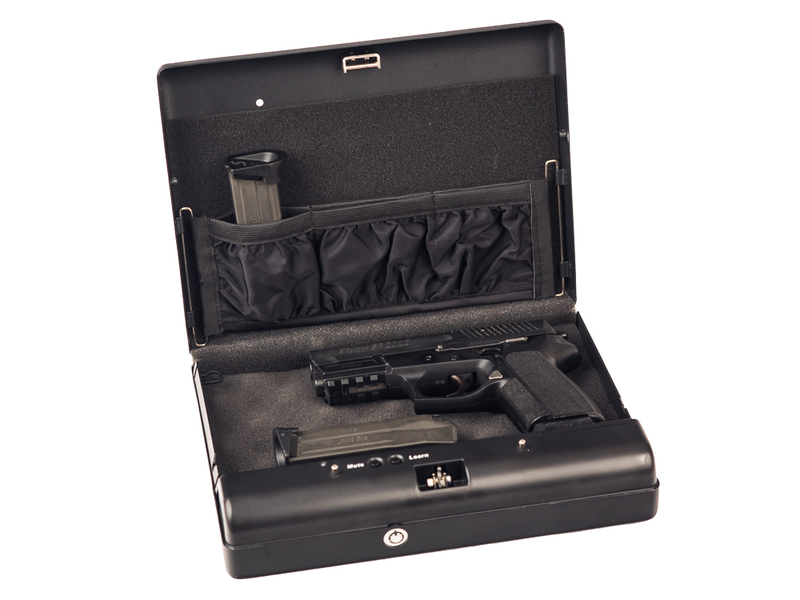 First, the Federal law that allows you to transport your firearm across state lines (926A of FOPA) specifically calls out the glove compartment and console as NOT qualifying as a locked container despite the requirement to place the firearm or ammunition in a locked container. Second, where do you think criminals look first when they break into a car? Every car thief knows to look in the console and glove box first for valuables. Third, the glove compartment isn't very secure. In order to lock or unlock the box you need the car key which means you can't do it when you are driving. Plus the lock is weak… nothing compared to this gun safe. What Makes This Safe Awesome? EASY to Operate: The safe has four buttons on the top of the safe that can easily be pushed by a single finger or by individual fingers. 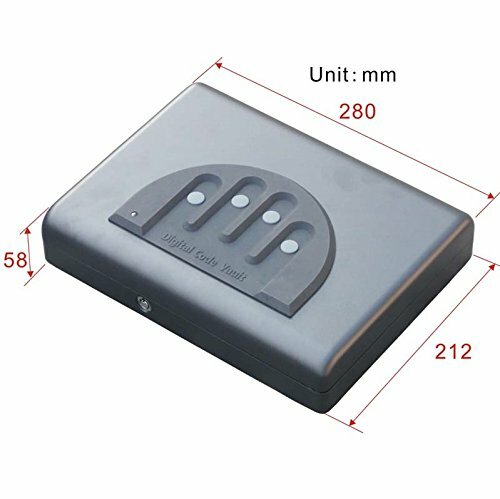 The combination can be from 1 to 4 digits and once entered the door will pop open. The combination can be changed if the user can access the inside of the safe. 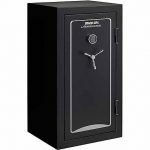 Strong and Well Constructed: The safe is made of 16-gauge cold rolled steel with a scratch and impact resistant powder-coat painted finish. 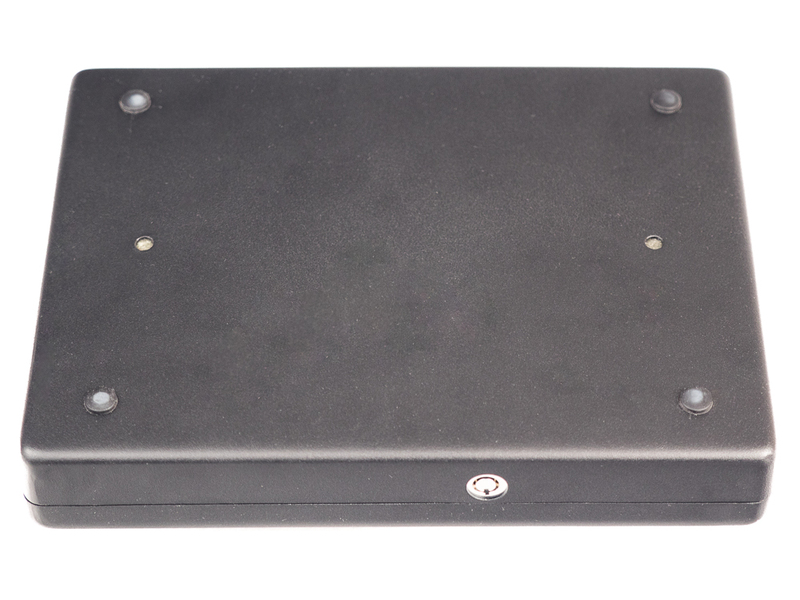 The safe has four rubber feet and two mounting holes at the bottom of the case. Backup Key: If the batteries die or if you forget your code you can use either of the two provided keys to open the safe. 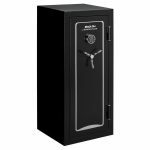 Easy to Secure: The Safe has two mounting holes that can be used to secure it to the floor, wall or furniture or you can use the included security cable to tie the safe to the car's frame or anything solid and sturdy at the house. Can This Safe Be Used for Home Storage? Yes of course but please be sure to secure the safe to something. Any home firearm safe should be bolted down to the floor, furniture, or something else solid so an intruder can't pick up your safe and haul it out with them. 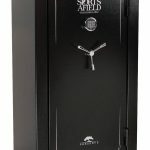 This safe comes with two pre-drilled holes in the bottom for just this purpose. 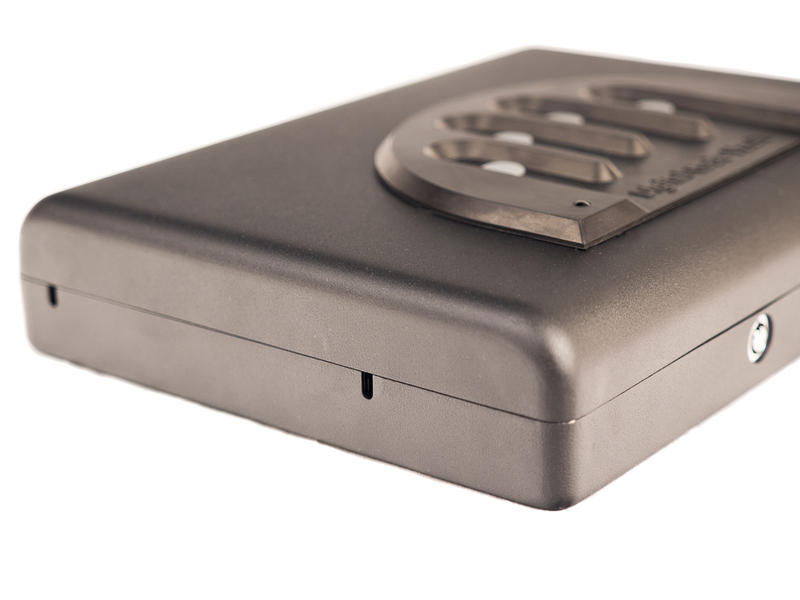 Also, we would recommend if using for home emergency access you engage the optional MUTE feature so that a potential home intruder won't hear the beeps of the buttons when you open it. 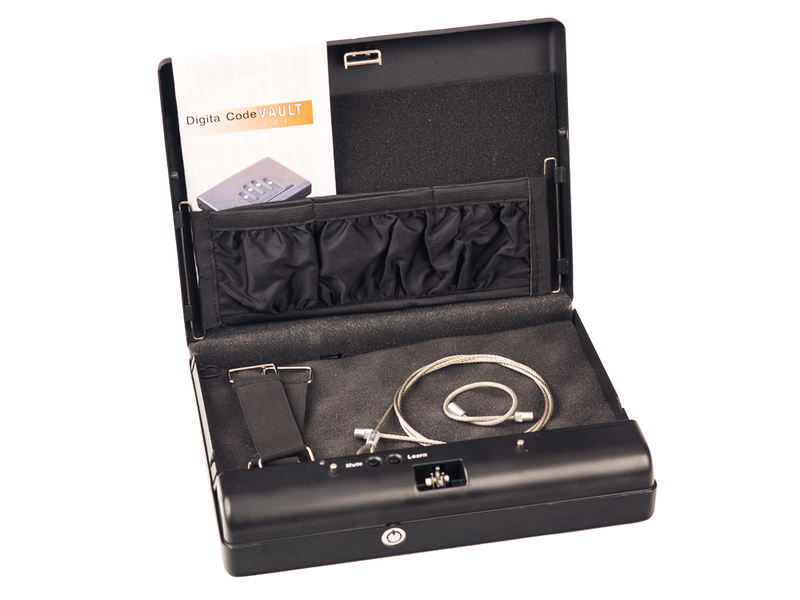 Be the first to review “Digital Portable Firearm Vault” Click here to cancel reply.